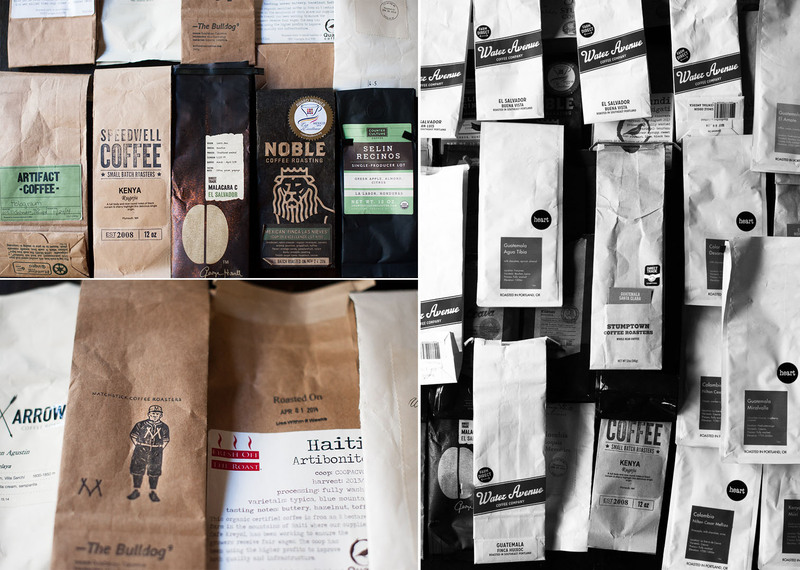 If you’re inclined to reflect on the previous year, I suggest that you save and then categorize a year’s worth of coffee bags. Though I’m an ardent list maker, I’ve never been able to consistently write things down throughout the year, whether it’s books I’ve read or runs I’ve gone on. I do enjoy recording lists for short trips – coffee shops and restaurants – and then carrying that list around with me for reference. And I seem to always have a morphable top five list in my head of movies and restaurants (though I couldn’t name my “top five” for Chris Rock). This is my fourth year diligently saving coffee bags, and I think I’m drawn to the exercise because it’s so passive. Drink, and hopefully enjoy, a bag of coffee, empty out any remaining beans, and toss the empty bags in a box downstairs. Sometimes my husband and I record notes on the coffee, sometimes we don’t and hope that our memories will suffice. This exercise isn’t meant to be “work", but rather one of reflection, and it feels appropriate at this time of year. 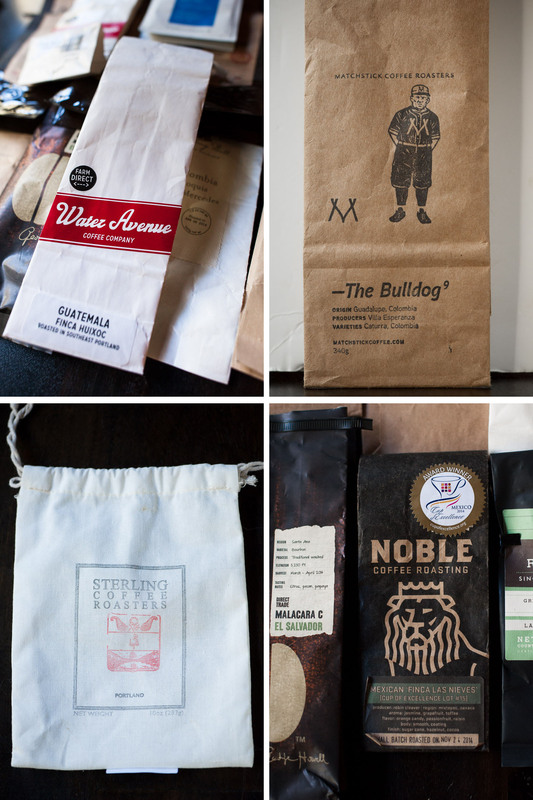 Beyond how much coffee we drank this year, it’s interesting to note why a certain month had so many bags of coffee and why others only featured a few bags. Visually, I always enjoy the wide variety of bag shapes and styles when they’re all grouped together. And, I’m routinely surprised by the year’s dominant roaster and region of beans because, in the moment, we’re just drinking and enjoying the bag, not analyzing that “this is the fourth bag of El Salvadoran coffee we’ve made and it’s only April!”. If drank coffee like that, the exercise would gradually become more directed, and ultimately less interesting. But because I don’t record anything at all, we’re dictated by unpredictable, unforeseen factors: a coffee we had out that we want to brew at home, procrastination (we’re out of coffee, where can we quickly get a bag? ), and predictable comfort (we had that coffee two weeks ago, let’s pick up another bag). We drank five bags at home for both June and July, and when I see the bags stacked up, I remember how we quickly consumed them as iced coffee on hot summer afternoons, needing both energy and something cold to energize us for front and backyard work. 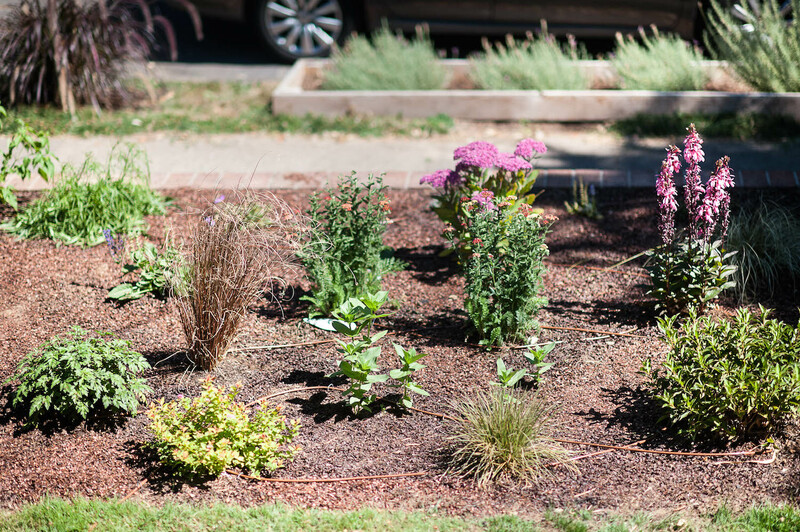 As you can see here, we ripped up grass by the acre (hyperbole), and though I have no real photographic before and after evidence, we wheelbarrowed two tons (not hyperbole) of organic debris, and an unmeasurable amount of non organic debris out of our backyard. Iced coffee made all of this possible, especially as the sun beat down on the exact spot we were working. As I type this, though I don’t exactly yearn for the backbreaking labor, I do feel transported back to those hot, energy-depleting days, where I ravenously ate simple tomato salads for my snack and drank copious amounts of rosé with dinner. The feeling of a day physically well spent is nearly unmatchable. When I scan the other months that deviated slightly from the average, I begin to remember May and September more distinctly. We were out of town for over three weeks in September, which makes our two bags of coffee rather funny to me: we must have been guzzling away the jet lag, and simply desperate for good coffee again. (Italy, to dispel any myths, doesn’t have great coffee – at least where we were – despite being the birthplace of La Marzocco). 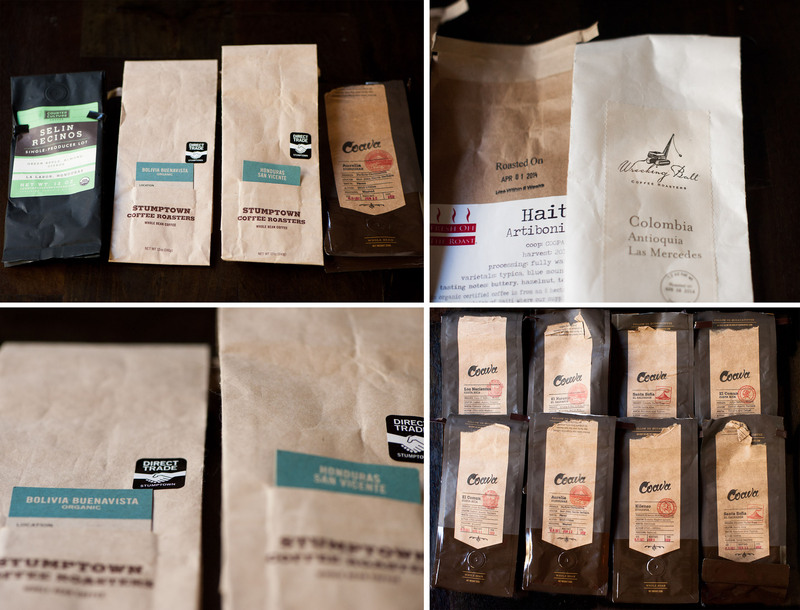 We only bought three bags of coffee in May and two of them were from non-Portland roasters. I can’t accurately explain why we weren’t drinking more coffee at home in mid-May, but in early May we both ran the Vancouver marathon, which took us out of town for a few days. 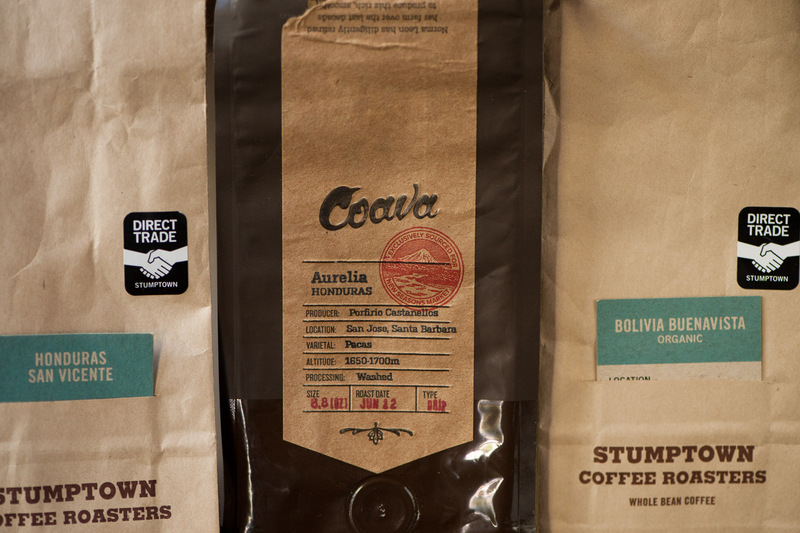 We returned happy and hobbling with a bag of Vancouver’s Matchstick Coffee (one of our favorite roasters of all time). I can assume that we drank a lot of coffee outside of the house the rest of the month, until our trip back East to visit my parents, where we bought our lone bag of Counter Culture beans, a roaster we had frequently in DC and New York, but never see out here. In Plymouth, MA, where Justin’s mother lives, we excitedly and inadvertently found a bag of Speedwell Coffee at a staging store close to her home – not the place we would even look for coffee, tucked among candles and fabrics. We’ve read about Speedwell before, and maybe even had some of their beans, but coffee in that part of Massachusetts (the Cape) is hard to find unless you want a frothy, vanilla-y concoction. Speedwell really impressed us. It brewed exceptionally well in a French press and stood up favorly against Artifact (we actually preferred it over Artifact on that trip). 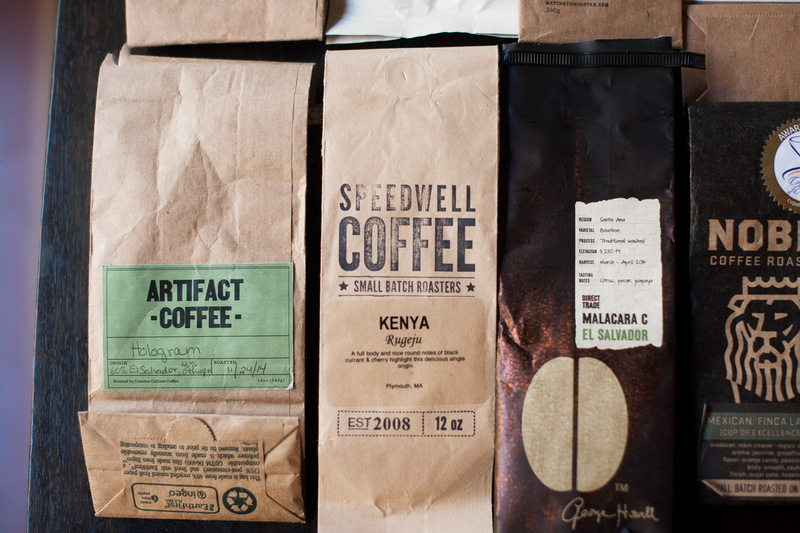 We returned to Portland with a bag of George Howell beans. Barista occasionally sells this roaster but we hadn’t bought any before. 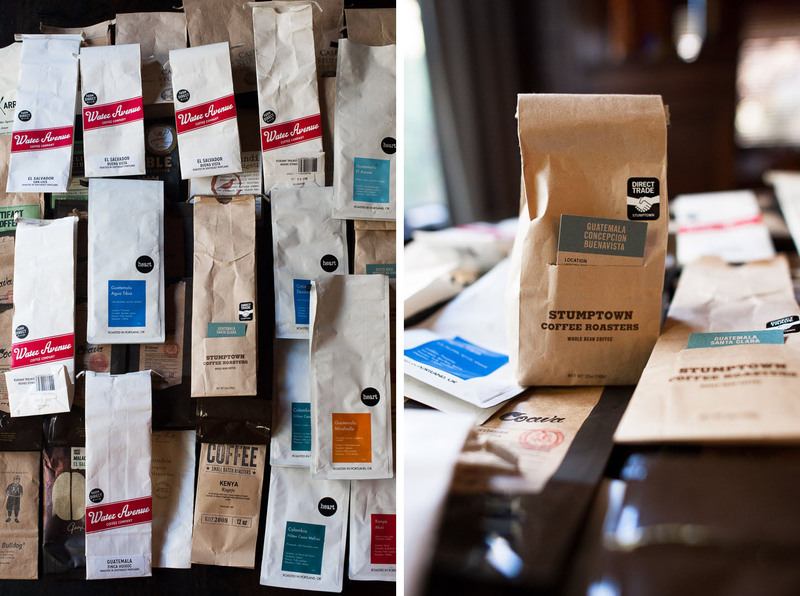 And we ended the year with a bag of Stumptown (what else?) – Guatemala Concepcion Buenavista. Justin and I weren’t super adventurous with our brewing this year, which has differed from years past. It’s hard to know if our less than adventurous spirits are a byproduct of complacency or contentment. 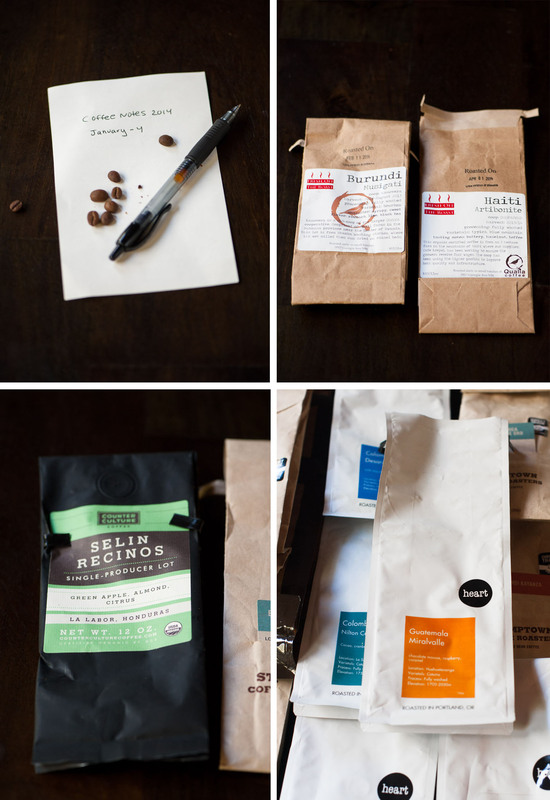 In the past we’ve taken a bag of beans and brewed those beans in a number of ways, taking notes, like perfection-seeking home baristas. This year, we brewed almost exclusively with the V60 for hot coffee, the chemex for iced coffee, and the aeropress while traveling. The aeropress didn’t live to see 2015, however, as the plastic-y coffee taste proved insurmountable, so we brewed with a French press while in Massachusetts. Coffee still remains a really important part of our lives, but it doesn’t feel as ravenously intense as when we lived in Brooklyn or first moved to Portland. It’s almost like the settling down of a relationship – the always interested, can’t-learn-enough or get-enough has become a relationship where we know what we like, what roasters we like, what brew methods we like, and how much we want to be challenged. This all feels safe and cozy, but as we transition into a new year, I still believe it’s important to stretch our boundaries, whether that’s in seeking out new roasters and taking notes on brew methods or discussing what flavors we’re getting out of our morning coffee. Coffee isn’t a marriage: nothing will happen if we become stuck in a rut, but curiosity breeds curiosity in other aspects of life, and there’s still something exciting about brewing an incredible cup of coffee, trying a new roaster, and of course, enjoying copious amounts of iced coffee for a job well done. As I look at Meaghin’s tabulations of our regional coffee totals above, I’m struck by our divergence from African coffees. 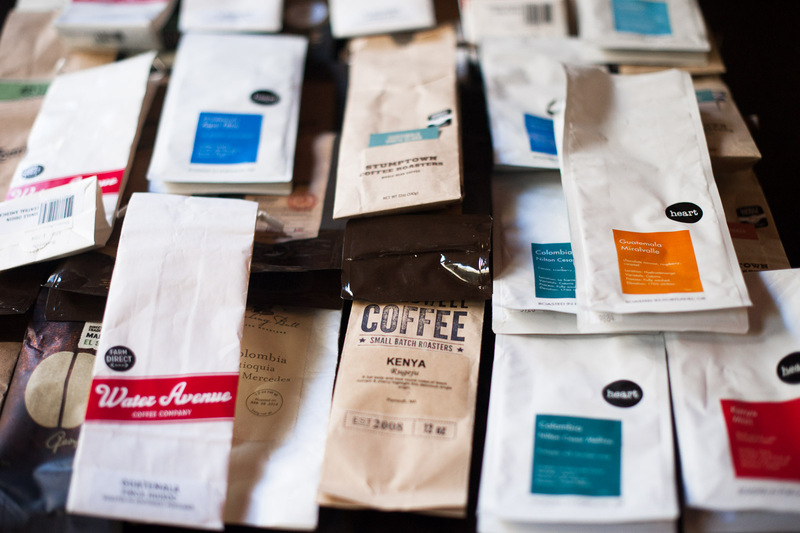 While we didn’t keep track of the regional breakdown last year, in 2012 we drank a whopping 12 bags from Ethiopia, and I remember drinking a similar number of Ethiopian and Kenyan coffees last year. As we’ve settled into our coffee-drinking habits, it seems that we’ve moved away from the brighter acidity of these African coffees, instead favoring the rich bass notes of our favorite Central and South American beans. I’m sure that a varietal breakdown would show a LOT of caturra in 2014. 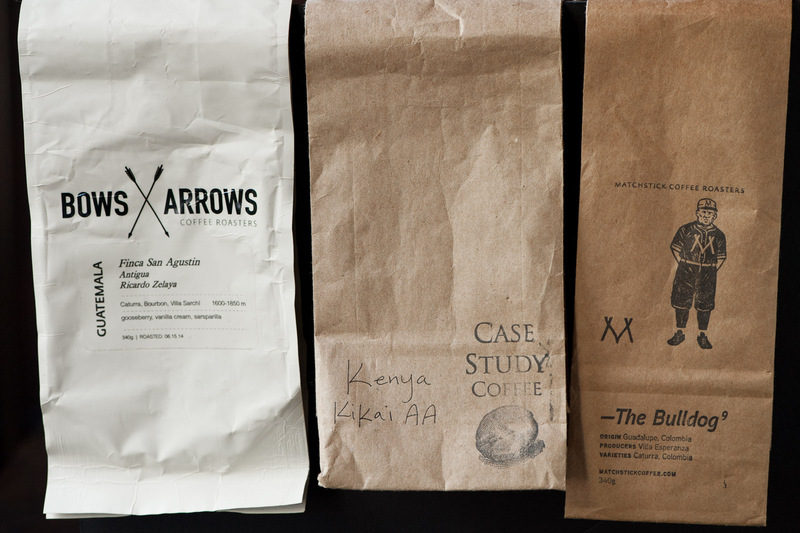 Case Study: Kenya Kikai AA - For a year in which we moved away from African acidity, it’s a surprise that one of our favorite bags was a Kenyan. I attribute its inclusion not only to its excellent production, but to Case Study nailing the roast. Case Study brought out an incredibly rich flavor from these beans, downplaying the brightness into a remarkably round taste. It’s a coffee we drank repeatedly at their NE Portland shop, and one which we brewed both as an excellent morning coffee in the v60, and a refreshing iced coffee in the afternoon. Case Study remains one of our favorite cafes in Portland, with charmingly open barsitas brewing pour-overs with the Kalita Wave; as they expanded in 2014, it appears they’ve also upped their sourcing game, and I’m excited to drink more of their coffee in 2015. Matchstick: The Bulldog, Colombia Villa Esperanza - I rave about Matchstick to anyone who loves coffee, or anyone travelling to British Columbia. We bought this coffee after running the Vancouver Marathon last May, and honestly it’s worth running a marathon to drink Matchstick’s brews. Their roasting profile just gives us exactly what we look for - round body, nice acidity, full flavor – while still maintaining distinctive variation across their coffees. Bows and Arrows: Guatemala Finca San Agustin - If any coffee sums up 2014 for us, it’s this one. A blend of caturra and bourbon, it’s produced by a family that’s run their farm for over 100 years. 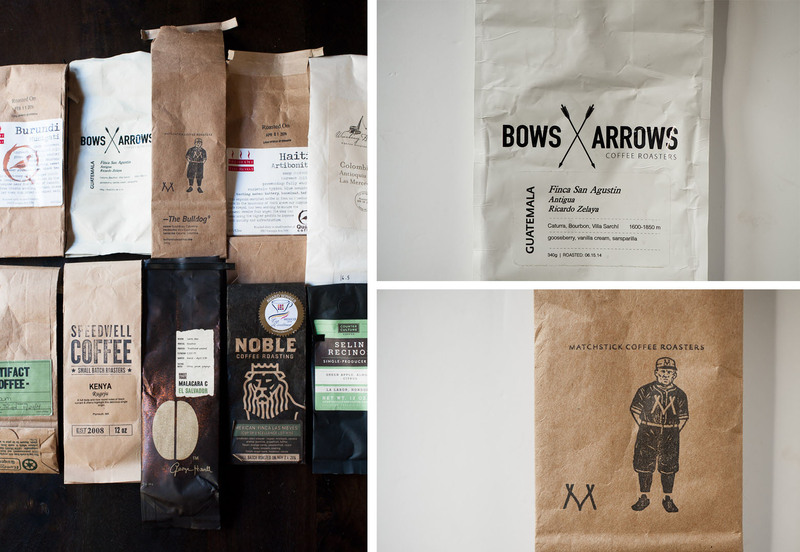 Bows and Arrows makes coffee that’s so good, it’s reason enough to visit Victoria, BC. Thankfully, their coffee occassionally makes it south to us via Barista (and is frequently sold at Milstead & Co, our favorite coffee shop in Seattle). 2011 Coffee: More coffee than weeks in the year! In fact: Coffee from Ethiopia was our favorite throughout the year--we had a total of 8 Ethiopian coffees, with Guatemalan coffee closely behind with 7 bags.